Aikatsu! – 55 | Mezashite! 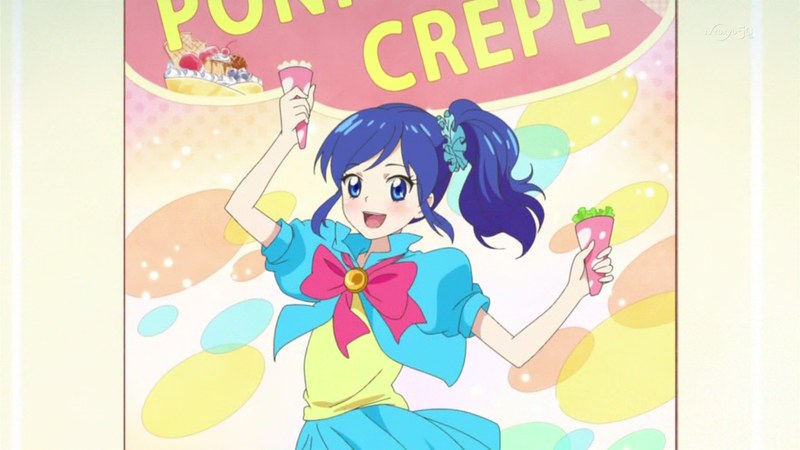 Aoi will always be the Pon-Pon Crepe image girl in my heart. Thanks for the yum-yum-yummy episode, guys. We shall cherish this Halloween treat. “pin to konai” is a stock phrase meaning “can’t imagine” or “difficult to understand”. I think that’s pretty much it. Nitpicking for future possible batch. 7:57 – She said it too delicate and hard to tie up.